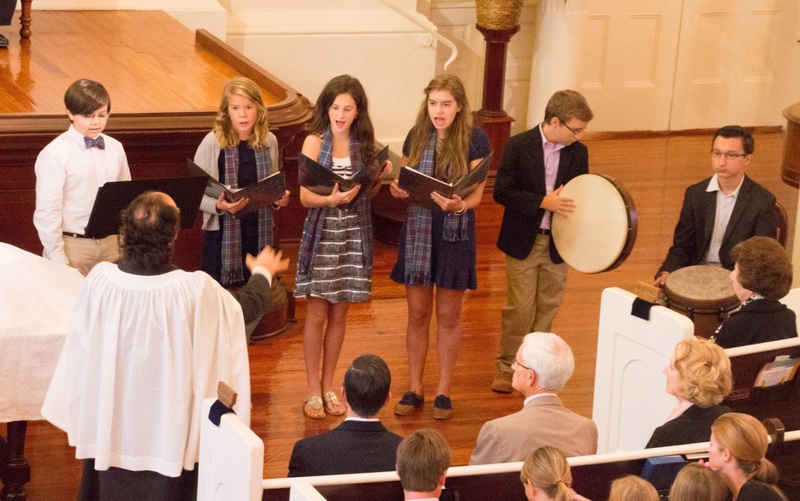 We have music and choir opportunities for all ages. 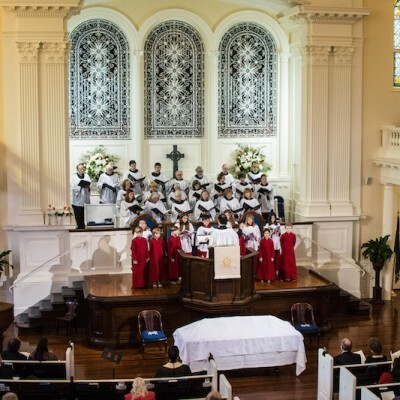 Our worship services are enhanced with traditional hymns from the Blue Presbyterian Hymnal shared by our congregation as well as our Ontko & Young pipe organ and adult choirs. 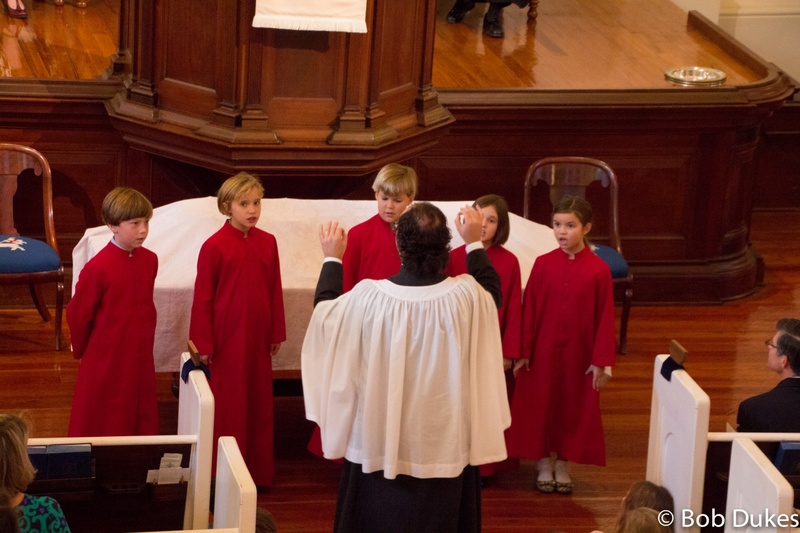 On special occasions we are delighted to have various musical offerings from our children and youth choirs, handbell choirs or hymn choir. At the holidays we enjoy guest musicians form the Charleston Symphony Orchestra. 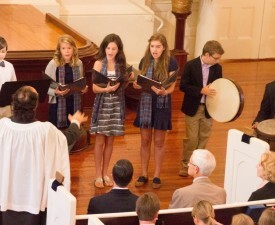 Kirk Choir is the principal Sunday morning worship choir of First (Scots). This choir is primarily made up of volunteer adults, but is also open to youth in 10th grade and older. 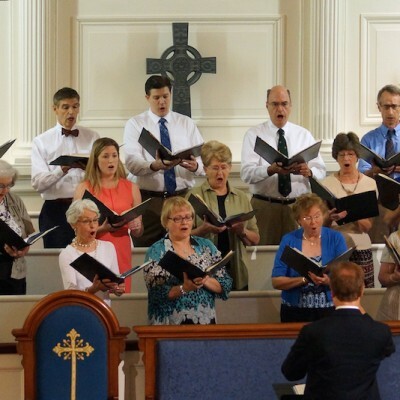 The Kirk Choir rehearses weekly on Wednesday nights from 7:00 p.m. to 8:30 p.m. and again on Sunday mornings at 10:15 a.m. preceding the 11:15 a.m. service. The Kirk Choir sings a wide variety of music from the traditional sacred music repertoire, with occasional classical composers as well, and presents special extended choral works, often with orchestral accompaniment, at Christmas and Easter. Hymn Choir is for adults who love to sing and want to participate in a choir, but without making a major time commitment. The Hymn Choir meets once a month on the fourth Sunday: rehearses at 8:00 a.m. and sings at the 8:45 a.m. worship service. 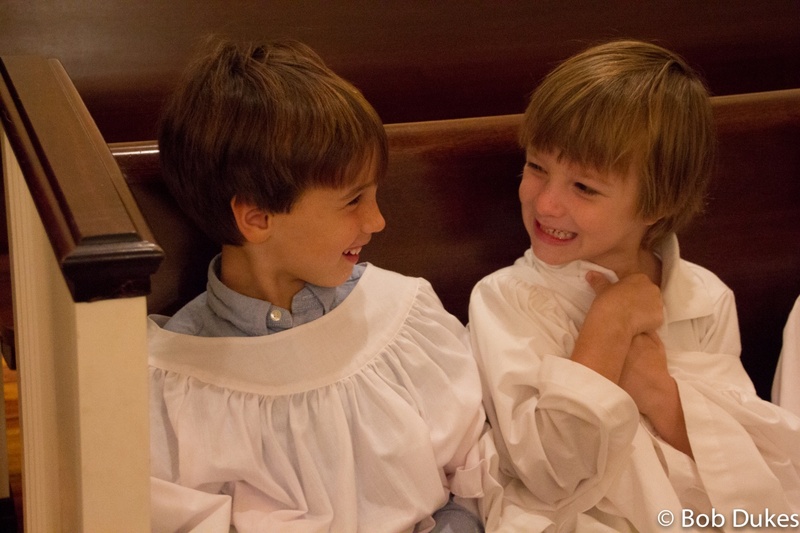 Kirk Handbell Choir is open to all who would enjoy ringing to enhance worship services. 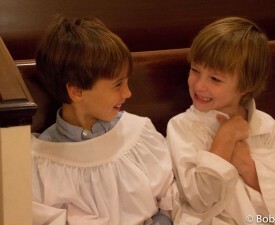 We rehearse on Wednesday evenings and ring for Sunday morning services about four times during the year. The ability to read music is not a requirement. Please consider attending a rehearsal to see if it’s something you would enjoy doing. Please contact Christina Wilhoit for more information. Summer Choir June - August. No time to sing during the year? Now you can join and sing in our new Summer Choir during the summer! 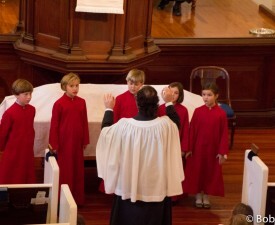 The Summer Choir meets on Sunday mornings only, rehearsing at 9:00 a.m. and singing at the 10:00 a.m. worship service.